Door County is beautiful any time of year with snow in the winter, the colors of changing leaves in autumn, and beaches and gardens during summer. Often the most overlooked season for beauty is spring. It is the Season of Blossoms. The Door County Season of Blossoms takes place throughout all of Door County from April to June. 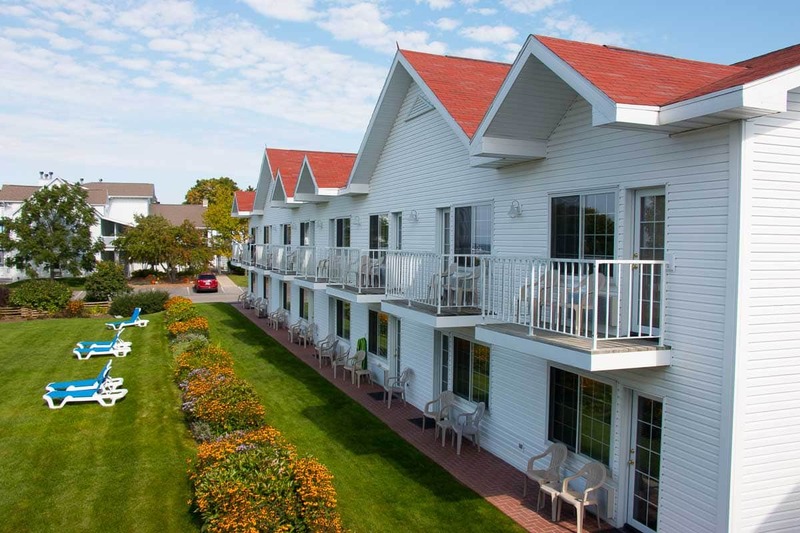 Hotels in Ephraim, Wisconsin, including Ephraim Shores Resort, are open during this time! We open for the Door County Half Marathon May 4-5 and for the season on May 11. You will not be able to miss the beauty because there are about 2,500 acres of cherry orchards and 500 acres of apple orchards that supply us with this view. Spring is the perfect time to bring your camera and get some gorgeous shots! Door County is the fourth largest cherry growing region in the United States, but we have no doubt that the blossoms in spring in Door County are the best in the nation. According to this year’s blossom report, hepatica and daffodils will be blooming in April, followed by irises, trillium, and so many more in May. After all, April showers bring May flowers. As the weather warms up this spring, the list of fun things to do in Door County gets even longer. Shops and restaurants will start to open back up, as well as hotels in Ephraim, Wisconsin. But in April, nothing compares to numerous ways to enjoy the Season of Blossoms. You can take a bike ride, hike or walk through any of the state parks to enjoy the view. Or just take a drive through the Door County countryside to see the beautiful landscape. The Season of Blossoms is one of our favorites. It also means that we are only one season away from getting to see our guests! We hope you are looking forward to another summer spent at the perfect place for a family trip or a romantic Door County vacation. Book today to secure your spot at Ephraim Shores Resort. It is less than two months until we open!